Double Butterfly Jasmine flowers in my garden. The large shiny leaves are green and are 6 or more inches in length and about 2 inches in width. The waxy blossoms are white double five-petaled pinwheels that are borne in small clusters on the stem tips. 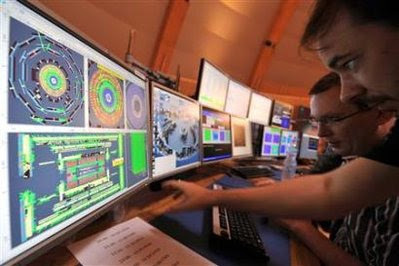 GENEVA - The world's largest particle collider malfunctioned within hours of its launch to great fanfare, but its operator didn't report the problem for a week. Boil 40 grams of Agar-agar stick together with 6 litres of water, a little bit of salt and 1/4 kilogram of sugar. Boil 2 cans of coconut cream ( Santan Krim) together with a little salt and 5 spoons of sugar. Mix the boiled agar-agar and boiled coconut cream together and cook on the stove for a while. If you want soft jelly, don't cook too long, just 4 or 5 minutes. Place the mixture in the container and let it cool. I am so happy after reading this news on Yahoo. GENEVA - The world's largest particle collider passed its first major tests by firing two beams of protons in opposite directions around a 17-mile (27-kilometer) underground ring Wednesday in what scientists hope is the next great step to understanding the makeup of the universe. 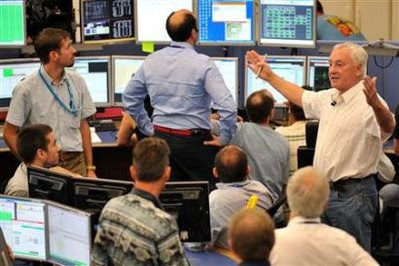 After a series of trial runs, two white dots flashed on a computer screen at 10:26 a.m. (0826 GMT) indicating that the protons had traveled clockwise along the full length of the 4 billion Swiss franc (US$3.8 billion) Large Hadron Collider — described as the biggest physics experiment in history. "My first thought was relief," said Evans, who has been working on the project since its inception in 1984. "This is a machine of enormous complexity. Things can go wrong at any time. But this morning has been a great start." He didn't want to set a date, but said that he expected scientists would be able to conduct collisions for their experiments "within a few months." Scientists hope to eventually send two beams of protons through two tubes about the width of fire hoses, speeding through a vacuum that is colder and emptier than outer space. The paths of these beams will cross, and a few protons will collide. The collider's two largest detectors — essentially huge digital cameras weighing thousands of tons — are capable of taking millions of snapshots a second. The CERN experiments could reveal more about "dark matter," antimatter and possibly hidden dimensions of space and time. It could also find evidence of the hypothetical particle — the Higgs boson — which is sometimes called the "God particle" because it is believed to give mass to all other particles, and thus to matter that makes up the universe. The supercooled magnets that guide the proton beam heated slightly in the morning's first test, leading to a pause to recool them before trying the opposite direction. "It's nonsense," said James Gillies, chief spokesman for CERN. CERN was backed by leading scientists like Britain's Stephen Hawking , who declared the experiments to be absolutely safe. Gillies told the AP that the most dangerous thing that could happen would be if a beam at full power were to go out of control, and that would only damage the accelerator itself and burrow into the rock around the tunnel. Nothing of the sort occurred Wednesday, though the accelerator is still probably a year away from full power. 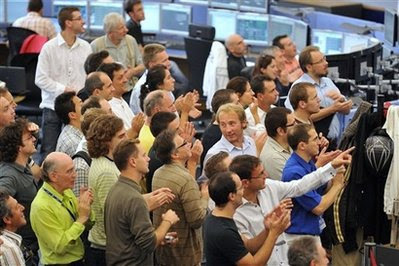 The project organized by the 20 European member nations of CERN has attracted researchers from 80 nations. Some 1,200 are from the United States, an observer country that contributed US$531 million. Japan, another observer, also is a major contributor. The complexity of manufacturing it required groundbreaking advances in the use of supercooled, superconducting equipment. The 2001 start and 2005 completion dates were pushed back by two years each, and the cost of the construction was 25 percent higher than originally budgeted in 1996, Luciano Maiani, who was CERN director-general at the time, told The Associated Press. Maiani and the other three living former directors-general attended the launch Wednesday. Smaller colliders have been used for decades to study the makeup of the atom. Less than 100 years ago scientists thought protons and neutrons were the smallest components of an atom's nucleus, but in stages since then experiments have shown they were made of still smaller quarks and gluons and that there were other forces and particles.